German painter and engraver; born at Königsberg, Prussia, June 24, 1756; died there May 10, 1831. Aided by the friendship and influence of the Friedländer family, he had achieved such a reputation by 1780 that the empress Catherine II. of Russia commissioned him to paint her portrait. His pictures were among the most popular in the German exhibitions, and he was one of the foremost miniaturists and pastel-painters of his time. He was also a master of the game of chess. 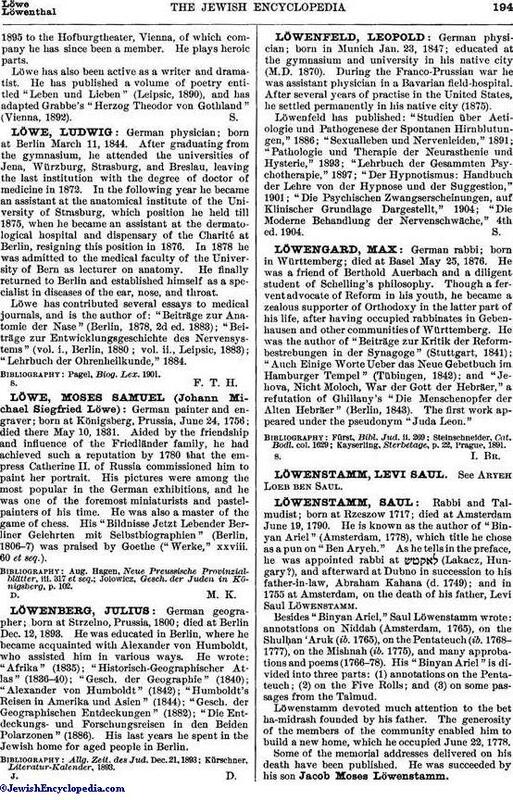 His "Bildnisse Jetzt Lebender Berliner Gelehrten mit Selbstbiographien" (Berlin, 1806-7) was praised by Goethe ("Werke," xxviii. 60 et seq.). Jolowicz, Gesch. der Juden in Königsberg, p. 102.